If you’re in search of the best shoes for high arches, look no further than the Nike Air Pegasus for lightweight comfort and unquestionable style. In this guide, we’ll help you choose the ideal shoes for a high arch, and get you running pain-free! There are lots of options out there, and it can be hard to know where to start looking. That’s where we come in! We’ve looked at the best shoes for high arches available online, and found some great options for runners with high arches. They span a range of styles and have different types of support built in. What makes a running shoe good for high arches? High-arched feet are best served by neutral cushioning footwear. As opposed to stability shoes, these don’t have stability devices or a medial post. They’ll have a softer midsole and more flexibility. This helps to allow natural pronation (side to side movement) without creating a wobbling sensation. You’ll also need a prominent, firm arch mound that compliments the natural profile of your foot. Low to medium arch mounds won’t provide proper support for your foot muscles, which can lead to strains and pains in the middle of the foot. So, make sure the support is both prominent and firm! Remember, every foot and every arch is different. Some pairs might have too strong an arch support for your feet, and some might be too flat. Make sure you find the right fit for your own profile. If you have any questions, head to a local running retailer. Most good shops will have a testing machine onsite, so you can learn more about your natural gait and foot profile. You’ll be able to take what you’ve learned shopping with you! Available in men’s and women’s sizes, these Brooks are lightweight but fully supportive. They’re designed specifically for high-arched runners who want low-profile sneakers designed for speed! These are far less clunky than “support” shoes, but they give you the same arch benefits. They’re a great choice for people who race track and field, as well as longer-range runners who like a low profile without sacrificing arch support! They’re the latest in a long line of winners. We’ve been recommending Ghost’s for a few years now, and while some other kicks go downhill with each iteration, that’s not the case here. These are slightly lighter than the 9’s, but they retain the excellent balance between structure and cushion. What’s particularly impressive is how much support they offer for something so unobtrusive! They’re super responsive. These Ghost’s are designed to return lots of energy to your feet, and the blown-rubber cushioning material does just that! They feel springy without introducing any wobble. The crash-pads are segmented, so they hit the ground caterpillar-style. That helps reduce a lot of the wobble and shock of each landing, to help high-arched runners achieve a smoother gait. Since the entire footbed is segmented, all strike forms are accommodated. Most other shoes have just a segmented forefoot, which only suits heel strikers. Both the men’s and women’s models are gender-specific in cushioning and fit. They have anatomically-correct footbeds and uppers. Both gender models have ample arch support, and a stability plate through the midsole. The stability plates are nicely unobtrusive compared to Asics, though. The Ghosts are perfect for those with high arches who want support without clunkiness! They have a sock-fit upper, just like any other good racer. It’s made of engineered mesh, with synthetic overlays for structure and resilience. The inner linings fit like a glove, but with a soft material throughout for comfort and a plush section at the tongue and heel. They’re long-lasting. Previous buyers said that they’d been running on these for well over a year, and all the stitching and sole materials were pretty much intact! You can run in these for a long, long time without having to worry about them wearing out. That durability has made them a favorite for team runners in high school and college. The sculpted midfoot is designed to move with the upper, to make sure your foot stays aligned throughout your run. That’s why the prominent arch mounds hit your foot perfectly, without shifting and aggravating any P.F. or other pain symptoms. Previous buyers said they really made a difference in P.F symptoms in their arches, as well as shin splints. They said that the support massaged their arches throughout a run without being too stiff or intrusive. If you have a special insole that you like to use for running, you can use that instead of the factory insole. The included piece of foam slides easily out so you can fit your replacement. It’s not a heavily cushioned option. While most reviewers said it provided enough support for them, it’s not on the heavy end of the spectrum. These are only for those who like low-profile runners to begin with. Some reviewers said they ran a bit tight, and recommended ordering half a size up. Brooks do run a bit small, on the whole. The structured toe guard isn’t for everyone. Some reviewers thought it was uncomfortable. These Nikes are also lightweight, and more heavily cushioned than the Ghost’s. They’re a customer favorite, and are very long lasting. We like them because there’s no break in period. As you’ll see in buyer reviews, people who try the Pegasus usually end up coming back every time they need a new pair! The 34’s are the best yet, and we’re loving the new outsole design. Find them for men and women, in lots of different color options! Buyers said these were extremely durable, just like the Brooks we’ve just looked at. The longevity and relatively low cost kept customers coming back every time they wore out. These have some of the best legacy loyalty on the market! We think they’re great long-term investments. Unlike a lot of other updated shoes like these that have been around for a while, we think this latest version of the Pegasus is the best yet without a doubt! Seriously–have a look at updates to classics like the Asics Gel Kayano’s, and you’ll see how spotty some “improved” versions can be. These demonstrate real effort to evolve a design, not just make changes for the sake of doing so. There’s little to no break in period. These will be comfortable from day one! That’s one benefit of having some extra cushion. The new outsoles are great. There’s an extra layer of grippy rubber, with nubs built in around the inner edge of the foot. There are small grooves cut throughout for flexibility. These are supported by full-length cushion foam, which is sculpted to suit your foot. Plus, Nike has specifically included a higher arch support in these. Overall, they’re a lot softer and more pillowy than the Brooks’. At the same time, they give high-arched runners the support they need to stay healthy and stable. The Zoom Air foam continues to be the star of the show, several generations in. It’s almost ludicrously light for something this springy, and it doesn’t break down quickly at all. The extra cushioning in this one, as well as the arch support, makes a big difference for longer runs. These are a good choice for high-arched runners with 5K aspirations! If you’re more of a long distance runner, you may prefer these over some of our other picks. They’re nice and light, and they’re more comfortable as the miles fly by. They’re also a very popular all-day option for people who work on their feet. We particularly like Nike’s new foam cushioning material because it’s extremely flexible. While many cushion-centric styles are stiff or clunky, these are much more agile, and less restrictive than, say, Asics. The forefoot stays flexible, while the shoe grips around the insole. That keeps things aligned while allowing you maximum range of movement. They fit small. Reviewers recommended ordering a half-size to a size up. That’s true of most Nike’s, by the way. Because of the extra cushioning, these don’t provide as natural a road sensation as the Brooks’. They definitely mask more of the road texture under your foot. That makes them a bit less ideal for the track. If you like to feel all the road contours, you might want to get something less padded. The Supernova Sequence runs closer to a stability pair than our other choices. It is designed to keep your feet running straight and level, and is perfect for over or under pronation–a common symptom of high arches. It’s available in Men’s and Women’s sizes. We like them over other stability shoes because they’re airier and a bit less restrictive-feeling on the road, while still providing the corrections you need. Like the Pegasus’s, they last for years, and have a very loyal contingent of buyers! The sole is built around an EVA Stable Frame. This is made from sculpted, compressed foam, and works to provide structure and alignment. It’ll also mold to your foot as you use it. The effect is to maintain strong arch support exactly as your foot needs it. We like this molding feature, because depending on your specific arch shape, many shoes with stricter arch support might be too strong or too weak, and won’t adapt. 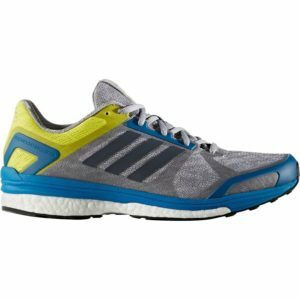 Adidas also says that this model has a “Torsion System” designed to guide the foot’s rotation around the mid-foot for optimum transition from mid-foot stance to forefoot push-off.” While we’re not engineering experts, we’ve found that the result is a shoe that corrects wobble in the push-off without feeling slow or clunky like a traditional motion-control style. The mesh upper ventilates and distributes heat, and most reviewers found it kept them cool and stayed odor-free. They’re a lot less oven-like than some other stability options. The excellent combination of motion control with flexibility have made these a popular recommendation among running specialists and podiatrists. In fact, we found that many buyers had bought these on the recommendation of their doctor. They’re really professional grade! They’re heavy, due to the amount of cushioning. Previous buyers said that, especially if you’re coming from an average running shoes, these can be a bit hard to get used to. They’re some of the heaviest shoes out there, due mostly to the solid heel and midfoot support. However, most buyers found that they wore in after a week or two. Once you get used to them, the weight won’t be noticeable. 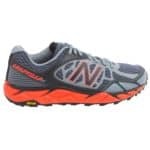 These are a great option from New Balance for trail runners with high arches. These have sturdy cushioning, strong traction, and come fully equipped for off-road adventures. Thanks to the durable Vibram sole, serious grippy treads, and toe protection, they’re at the top of our list for the best trail pair! They’re one of a small selection of trail running styles that’s made for both men and women! They fit like a glove. The upper is made of a breathable mesh material, which is designed to fit closely and securely. Many reviewers also complimented the wide toe box in these. If you’re in a warm climate or your feet tend to overheat, the mesh and the airy toe box will really come in handy. There’s also toe protection built over the mesh material. We appreciate that for protecting your toes from rocks and divets in the ground. The soles are made from Vibram rubber designed for longevity. That’s the same material Merrell and Keen use in their high end hikers. Reviewers found that these shoes stood up remarkably well over time. That’s a big plus over other trail runners, which have lots of fancy features, but city build quality that can’t really handle long miles in the woods. They’re prepared for nearly any surface, with tough lugged treads like a hiking boot. Several reviewers remarked that the traction was exceptional. They said the shoes were slip-resistant both going up and down hills. They also provide cushioning over uneven surfaces. These are great shoes if you will be running in hills or mountains. The cushioning in these new editions is made with a foam material that’s 30% lighter than previous generations! You can really feel the difference: the V3’s are super nimble. They’re stiff at first, and reviewers said there’s a break-in period before these really hit their stride. Once the cushioning loosens up, it’s very comfortable, though. These have the best balance of outdoor performance and arch support we’ve found in a trail runner style to date. However, they’re not as prominent through the arch as styles by Asics or others. We’ve recommended the New Balances because they’re more durable and grippy than the competition. If you have particularly high arches, though, you might want to add a different insole. The Saucony Omni is specifically designed for folks with higher arches who need lots of support to reduce pronation. It’s a stability shoe rather than a motion control style, though, so it still has plenty of flexibility and responsiveness to keep you light on your feet. 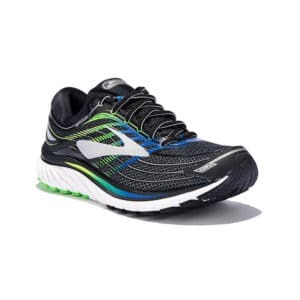 They’re great for light to moderate pronators who like ample cushioning. They have lots of plush cushioning to keep you running long miles without pain. These are a terrific pair for high-arched folks who like plenty of padding. They’re more cushy than the Brooks Ghost’s or the Supernova’s, and they give the Glycerin’s a run for their money as well. They’re seriously comfortable! We think they’re ideal for anyone who suffers some aches and pains as a result of pronation. They have ample arch support to get your pronation under control. They’re not motion control shoes, but they’re quite structured through the midfoot. 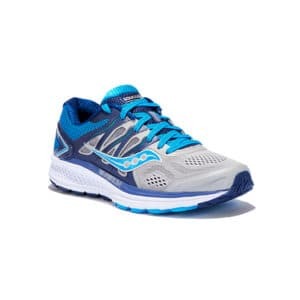 Saucony recommend these for moderate to severe pronators. Unless you like the rigidity of something like the Supernova’s, we think these are as much structure as most people need! We like the Omni’s because they combine a supportive, stable arch with lots of flexibility–they’re much less clunky than a motion control style like the Supernova’s. At the same time, they have some subtle features to help straighten out your gait, without ever feeling restrictive. The best is a new “Everun” topsole construction which promotes a smoother landing through the heel and reduces pressure on the forefoot. It’s really great, and it’s as effective as many structured midsoles without all the bulk. The upper has a “flexifilm” material which is essentially a synthetic overlay. It’s actually bonded to the engineered mesh, though, which means the whole thing moves with you without allowing your feet to shift around in the shoe. It’s a great upper, since it doesn’t develop pinch spots or loose areas as you go. We’re very impressed by it. There’s a support frame around the ankle, to keep things from getting wobbly. The “tri-flex” moves multidirectionally to distribute weight evenly and give you better road contact for a realistic ride. It’s one of the key features which sets the Omni’s apart from a full motion control shoe. These feel a lot less artificial to run on. The Omni has a relatively low 8mm offset to more evenly distribute weight across the foot. That’s compared to a 10-12mm drop on our other recommendations. So, if you like a more natural setup but can’t get enough arch support in minimalist/natural running shoes, these are a great compromise. They’re more durable than a lot of other Saucony’s these days. While they do last longer than other Saucony’s, some of the decorative parts of the design do wear down pretty quickly. So, while you can still get lots of miles out of a pair, they won’t look as great after the first few months. One downside of this latest “sock-fit” upper is that it doesn’t provide a lot of room for adjustments. You’ll have to find your ideal fit in the sizing, since you can’t make many of your own tweaks. Most people love the flexibility of the Omni’s, but if you really need more structure, you may want to go for the Supernova’s. Some runners simply found them too flexible. The Brooks Glycerin makes it into nearly all of our running shoe guides, because it’s a great all-around performer. We think there’s no better running shoe on the market right now for those who like plush comfort, plain and simple. This is the most cushioned shoe we’ve found that doesn’t feel bulky (like an Asics Kayano or other super-padded shoe). The Glycerin’s absorb impact, relieve pressure, and return energy to you without weighing you down or making you feel like you can’t sense the road underfoot. They’re ideal for runners with high arches who are most comfortable when they have plenty of padding! The 15’s are the best Glycerin’s yet! They cut the weight down, which is always important with shoes this cushy. The midsole and transition zone also feel a bit more plush, which smoothes out the ride even further. They’re even cushier than the Saucony Omni’s. These are Brooks’ softest neutral shoes, and they have 20% more cushioning than the Brooks Ghost’s! The Glycerin’s are ideal for those who want maximum bounce and pressure relief in the sole. Their Super DNA midsole responds to your gait for the softest possible ride. It’s divided into individualized pressure zones for relief in the heel and forefoot without having to reduce structure in the arch. They help disperse pressure from each landing away from the body evenly, and we think they’re a much smarter design than shoes which have the same density cushioning through the entire midsole. The soles are segmented through the whole foot, like the Ghost’s. That gives you great flexibility to go along with your cushioning. It’s one of the key reasons we prefer these to the more popular Asics gel models. There’s simply more room to maneuver and move naturally in the Glycerin’s. That’s combined with a 3D stretch upper which has unique webbing to conform to your individual foot shape and move with you. It’s paired with a conformable saddle that fits snugly around the foot and adapts to your arch profile. Overall, while these are definitely sock-fit shoes, they feel flexible and have no tendency to pinch in any pressure points. The Glycerin’s are a neutral style, but they have plenty of support for medium to high arches. These are an ideal choice for people with a slightly higher arch than average, but not a terribly severe curve. The biggest reason we’ve included the Glycerin’s in so many of our guides is that they’re wonders when it comes to resolving painful problems like plantar fasciitis. Between the plentiful cushioning and fantastic support, they can help with all sorts of aches and pains. These 15’s do tend to run a bit small. You’ll also want to anticipate a more snug grip with any sock-fit style, and order 1/2 size up. 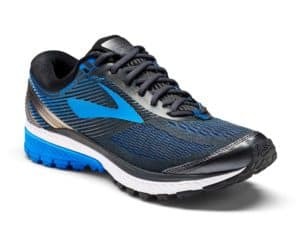 They’re more slippy in wet conditions than other Brooks styles, which is something to be aware of if you run in the rain frequently. As with many styles these Days, the Glycerin’s have layered treads which have a thin outer layer bonded to the main outsole. These outermost treads tend to be the first thing to go when the shoes start to fall apart. Some runners had issues with delamination in the first few months. Thankfully, that’s something covered by Brooks’ warranty. Running shoes designed for high arch runners aren’t usually too bulky. They’re slimmer than a support shoe or motion control shoe because you won’t need a lot of pronation control (as you would with flat feet). However, they’re still going to be a bit bulkier than your average shoe. That’s because the arch and mid-foot need to be a bit thicker. With that said, our choices demonstrate that you don’t have to sacrifice looks entirely. You’ll have nearly the same range of options to choose from as someone with average arch curves. Remember to look for the features you need first, before thinking about colors and style options! It’s important to have your priorities in order. You want to make sure your running shoes last. All shoes wear down over time, especially the tread. But cushioning and support can also collapse over time. You’ll want to find shoes whose insoles and arches don’t soften out too much with wear. As a high-arched runner, you need constant arch support. We really like EVA foam arch support which will mold itself to your specific foot, rather than having a set, rigid support. EVA foam also lasts better than other foams which were used in older shoes. It’s common in nearly all new models. 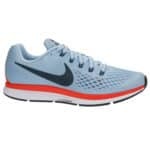 Although they’re not motion-controlling, all of the shoes we’ve recommended here (and anything suitable for someone with your foot type) fall under the category of specialized running shoes. Most specialized running shoes run around $100. Depending on sales, you might find them less or more expensive. One way to save money is to get the previous year’s model. A lot of the kicks we recommend here have been among our recommendations for a few years, so we can attest to the fact that the previous versions are still quite good. However, if you do that you might miss out on key updates to the shoe’s form and function. Each year, companies make their shoes lighter, sleeker, and better engineered. Basically, you do get what you pay for! Don’t try and cheat by buying cheap shoes and using insoles. This is something we’ve seen people doing, and it’s a pretty bad idea. 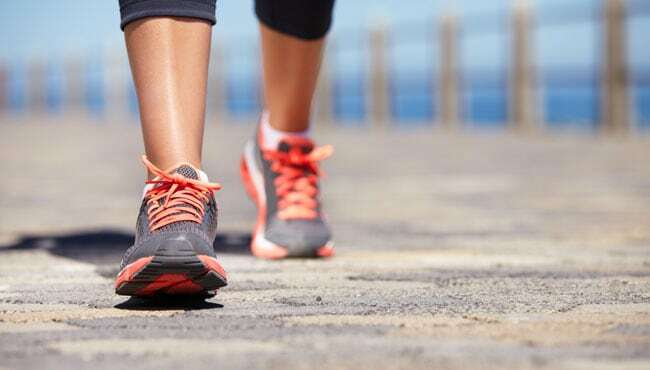 While you can certainly save some money by using an insole with a high arch support, many running shoes have engineered midsoles and custom cushioning designed to promote an overall gait that supports high arches. There’s much more to it than the insole, and that’s not just marketing guff. It makes more sense to invest in a really good shoe than to try and correct a so-so running shoe with an insole. Now that you’ve looked at some of the options available, how do you decide which will be best for you? 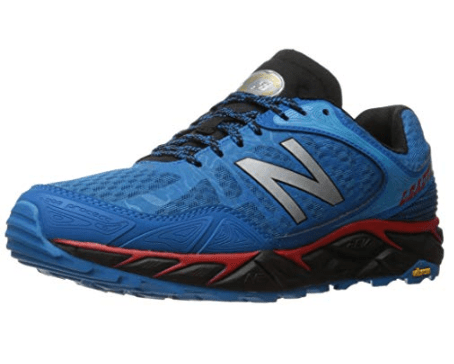 If you are running off-road, the New Balance MT1210V2 is a great option. They’re durable, comfortable and have solid traction on any terrain. None of our other recommendations will serve you as well on the trail, or last as long on rough surfaces. Road runners will be well-served by the Nike Air Pegasus or the Saucony Omni. Both are lightweight but still provide ample cushioning. The Brooks Ghost is a popular low-profile choice, which gets you a bit closer to the ground. It’s cushioned and gives you the arch support you need to run comfortably. If you’re looking for the smoothest option, the Brooks Glycerin will provide all the cushioning you need with less bulk than the Supernova Sequence. It provides a lighter, smoother, and more flexible gait. If you need plenty of arch support and cushion without so much motion control, this should be ideal. For the highest-arched runner, the Adidas Supernova Sequence provides maximum cushioning with a strong stability base to control pronation. It’s a bit heavy, and it’s probably overkill for most people. However, if you have a very high arch curve that results in lots of wobble, these will correct your stride very well. If you don’t see what you’re looking for here or are interested in other great footwear available online, check out our other most comfortable shoe guides at bestwalkingfeet.com!